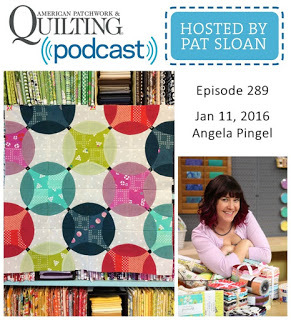 This week I was on Pat Sloan’s podcast American Patchwork and Quilting Radio. 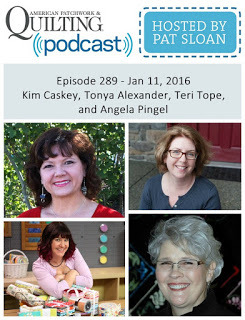 We chatted about working with precuts, my new Craftsy class and organizing fabric. I was one of four! guests she had on that day (she was working very hard!) and I’m the last one. I like to think that they saved the best for last. 😉 And the podcast is now live! You can listen on their computer, subscribe by itunes (search American Patchwork & Quilting), or download to a player. Enjoy! Now I need to get brave enough to go listen to myself. Oih! 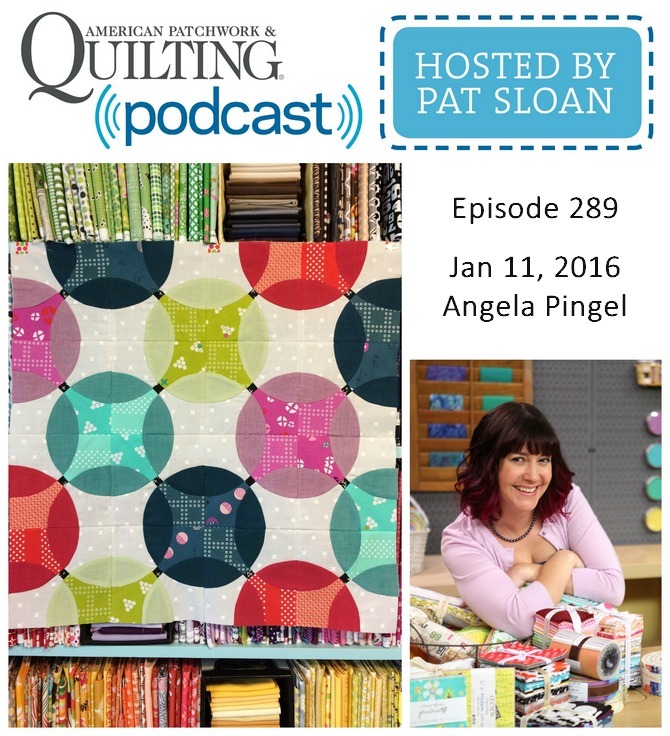 Sister Sampler Quilts and Giveaway!! That is so great! Besides getting to hear you, think of how wonderful this will be for your daughter to have a digital recording of her famous mom! That is really exciting Angela to think of the two of you together!